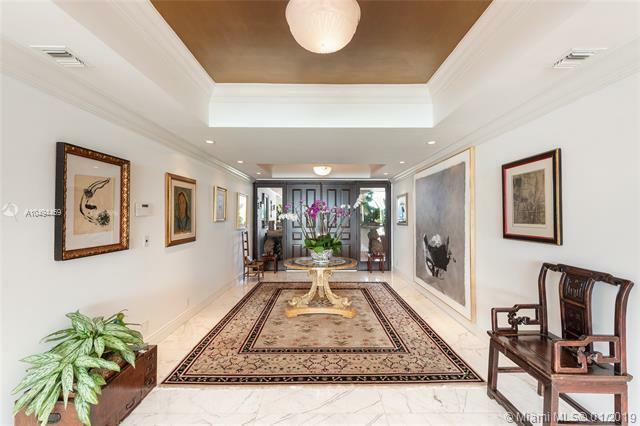 Entering this residence you are greeted by a tranquil private garden terrace w/fountain & views to S. Beach. 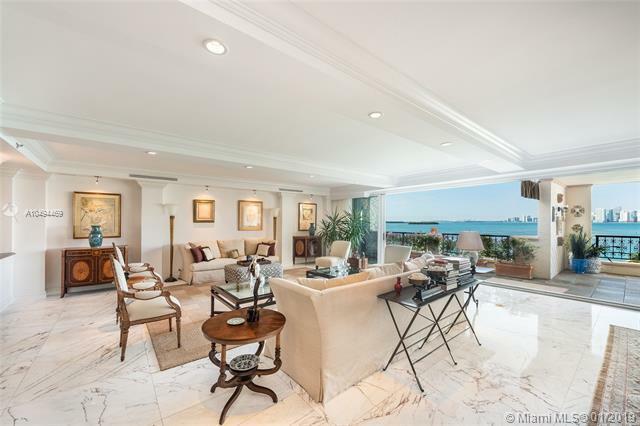 The foyer leads to large living & dining areas w/flow-through layout & walls of glass extending to a grand bayside terrace w/ unobstructed views to Biscayne bay & Downtown skyline. 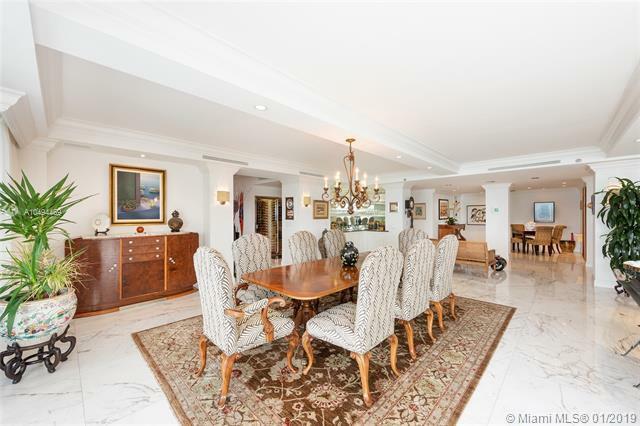 The contemporary, fully renovated 4BR/4+2BA Bayview home boasts 6300 SF, custom design finishes & exquisite Thassos marble floors. A gourmet kitchen sports top-of-the-line appliances, Allmilm cabinetry/granite Center Island. 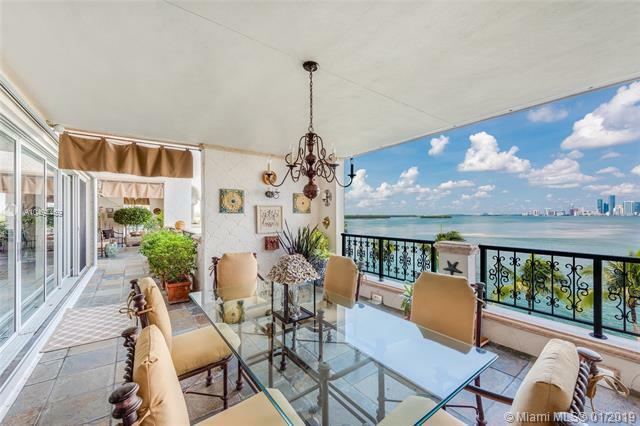 The sumptuous master suite features step-out terrace access w/bay views, his/her master bath w/sunken spa tub, steam shower & voluminous his/her walk-in closets. 3 car-parking spaces in underground garage plus 2 golf cart spaces, and one new Garia golf cart included with this sale.